8 April 19: with the California mines having been closed in 1997, the rarity of available fine, natural lavender rose quartz has increased monumentally. Avail yourselves of our rapidly dwindling supply! 2 April 19: direct to your heart chakra with emphasis on balance and healing, green chlorite phantoms are held to be elementally helpful. Working with them can be most beneficial for you. We suggest the large cabinet, no matrix cluster shown. Get started helping yourself! 26 March 19: Venus is harmonious for the next four weeks. That should make day-to-day relations and interactions much easier - so pin on some extra confidence! Send for your bee and/or butterfly brooches for that extra lift! Sometimes you need the help of a group - find them here! If you are new to this, or cannot choose, please ask us. 7 March 19: The Point Is: that with Mercury in retrograde and Uranus tearing around in Taurus now you may need the twin helps of grounding and clarity. Natural smoky quartz is rare to Arkansas, but we have some fine specimens to aid you. 28 February 19: Each rock crystal, quartz cluster, rough stone and bead has been chosen for our stock by asking them if they are the right ones to come with us for you. So that much has been settled. 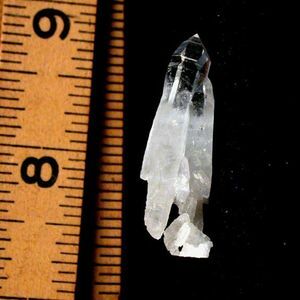 18 February 19: Rainbows in quartz crystals can occur by inner reflective fracture, the light playing off the shells of empty water bubbles, crossed axis between two or more crystals, and/or included crystals. They can cheer us, help us to focus, and even strengthen us to rise from injury. 5 February19: Valentine's Day is fast approaching. Interest your sweetie in your hobby in the most natural way - with our hearts! 29 January 19: Valentine's Day is fast approaching. Interest your sweetie in your hobby in the most natural way - with our hearts! Natural Arkansas rock crystal clusters, jewelry with gemstone hearts, Illuminator tm bookmark/pendulums all speak for your intent and affection. 19 January 2019: We want to THANK YOU for helping us reach our 29th birthday today. As always, each Arkansas crystal and cluster, California and South Dakota rough - even each gemstone bead and carving has been chosen by hand at the source - and asked to come with us for you. As always, your orders carry a gift stone chosen by those you have sent for. As always, a large part of what we do it teach. So if you have questions, feel free. January 8/19: Natural smoky quartz of any quality is rare in Arkansas. Held to be grounding and protective, the specimen shown below has much to teach you. Just focusing on the multicolored [also] rare irises amongst the layers of parallel growth will aid you. December 31/18: And now let us believe in a long year that is given to us, new, untouched, full of things that have never been, full of work that has never been done, full of tasks, claims, and demands; and let us see that we learn to take it without letting fall too much of what it has to bestow upon those who demand of it necessary, serious, and great things. December 25/18: Ancient symbols and rock crystals highlight our continuing belief in what is right and good. Clip this barrette on and bring this great energy to and through you. Highlight is available in multiples! December 19/18: Everyone always has something more to learn about rock crystals, their various habits, what is rare and unusual. We are delighted to say that the very first customer for Lin's book was a sharp 7- year old young man. Get yourselves and the other curious people you know your own copies...so we're all on the same page. December 11/18: Make Sure To Give Us Ample Time For Custom Work and Shipping Of Your Gift Crystal and Cluster Orders for the Upcoming Holidays! Gift wrap is always at no charge. December 4/18: Discovery is a fine and exciting thing - what has both grounded AND inspired you lately?? Be proud to claim this Arkansas golden healer cross cluster for yourself or as a teaching gift for someone you cherish. November 27/18: Crystals which have shaped themselves into any human-recognizable icons are an absolute rarity. This natural Arkansas cross has even made itself wearable - gift the UP cross necklace or even raise yourself! November 21/18: Only ONE of you can have this amazing natural Arkansas rock crystal with TWO manifestations inside shaped as TWO crosses. November 12/18: Have you stopped to look through all of our categories for you and for gifting lately? There will shortly be even more...as always, every design combining the crystals is made right here, many one of kind! - so don't wait! October 24/18: Arkansas rock crystals regardless of looks deliver the strongest, cleanest energy over any other sort. To select, sort, and grade, to organize your own collection get my book and learn how. The visuals are priceless and portable. October 18/18: Natural Arkansas rock crystals and clusters are known for their exceptional clear and strong energy - the best. Shown is a large cabinet 'butterfly' with substantial, radiating force in the nicest way. Self-displays safely in several positions. October 11/18: Each rock crystal, quartz cluster and gem rough chooses to come with us from Arkansas to find you. They also choose which gemstone beads and findings they want to combine with to suit your particular needs and style. A perennial favorite is our Lucky Bar H pin with a rare needle Arkansas rock crystal perched on the shamrock charm. Corral and focus your forces - and Western is so hot right now! September 27/18: An outstanding, perhaps unexpected, pronounced rare faden veil inside of top quality ARKANSAS tabular crystals in parallel growth. Rainbows may tempt you to negotiate, meditate, ruminate with a lightness of spirit. September 20/18: Natural rock crystals draw energy through and along themselves, clarify and amplify it. They do not have to be clear to do this: all veiled, milky, chipped, rough, and damaged crystals do this, too. When you specifically ask your crystal [and/or crystals, cluster[s], rough stone[s]] to help and work with you, consider the wiser, stronger and most experienced Arkansas quartz - they have the purest no-nonsense way with a dash of humor. September 12/18: You need to ditch your expectations and go for the real. Cut to look 'real', crystals boiled alive to sear pretty and pretty toxic colors to them, swarovski glass aren't real. They can't and won't help out. Be true to yourselves and get the real thing.